In January 2015, the original XM42 flamethrower was born. 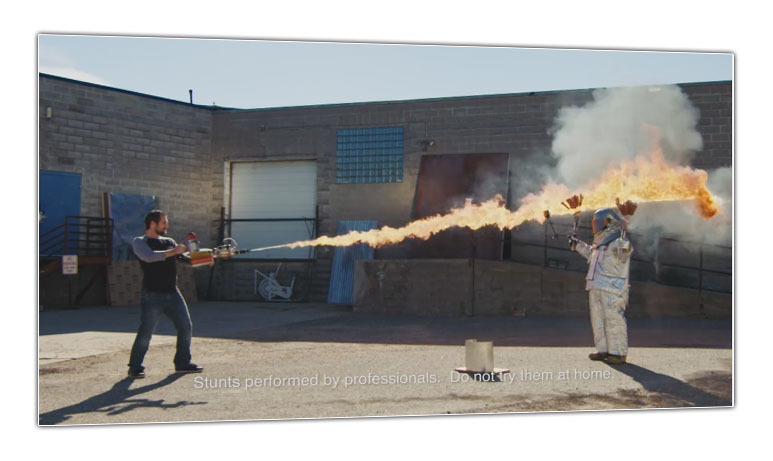 Years of tinkering with various designs had led to a fully functional handheld flamethrower prototype that could blast a stream of fire 25 feet from the user. In March 2015, The Ion Productions Team pitched the concept on an Indiegogo crowdfunding campaign to gauge interest, and it ended up being wildly successful. They surpassed their funding goal overnight and achieved nearly 4 times what they had hoped for by the end of the investment campaign. 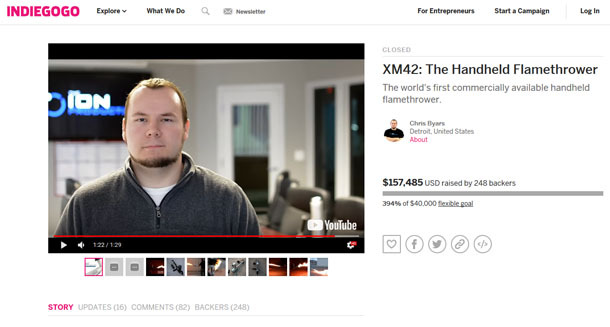 The Ion Productions Team produced the XM42 for the next two years, making people happy and warm. Although the XM42 was a fantastic first product, they refined and redesigned, taking lessons learned from the original, and created the future-proof XM42-M to endure the test of time. A customizable, user-serviceable billet machined masterpiece. 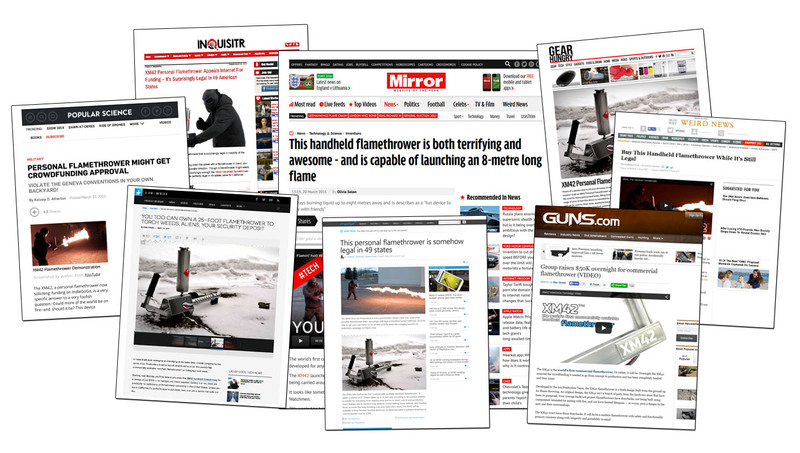 Our original flamethrower has been featured in a variety of media publications. That’s right. 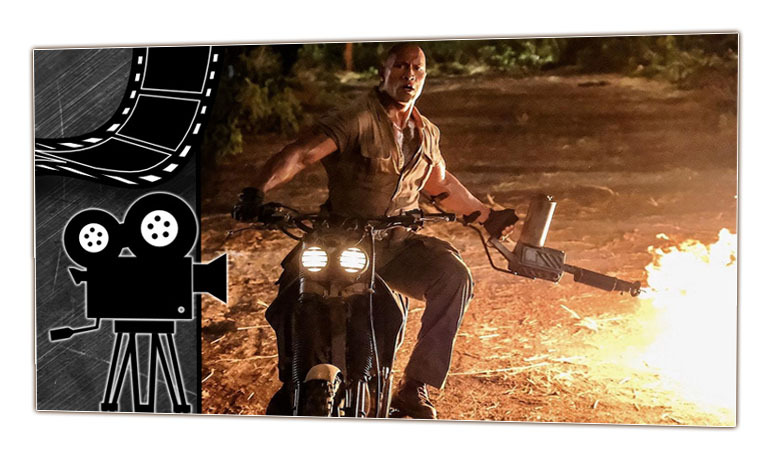 A prop house customized XM42 flamethrower made its big screen debut in Jumanji: Welcome to the Jungle. We took the whole crew to see the movie when it came out and were thoroughly entertained. It was a great experience to witness a product we brought to life to make it in a wide-release film. Catch it in action near the end of the movie. 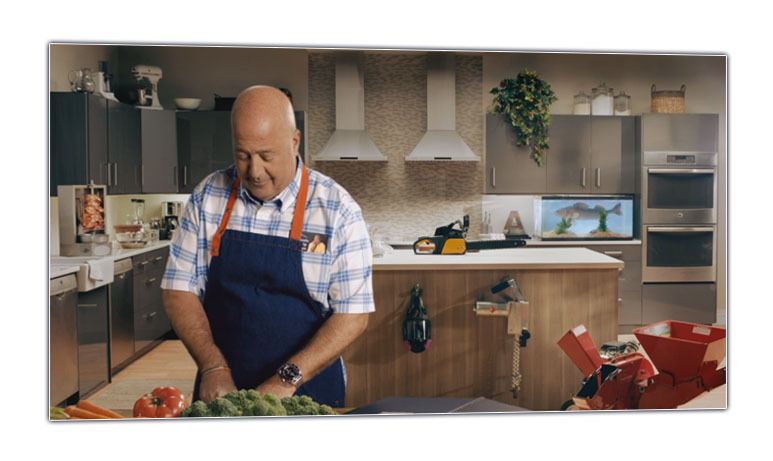 That’s our XM42 hanging behind Andrew Zimmern. Clicking on it would lead to his assistant adding a touch of golden brown to his famous mac & cheese. A fun interactive experience that helped promote the state lottery. 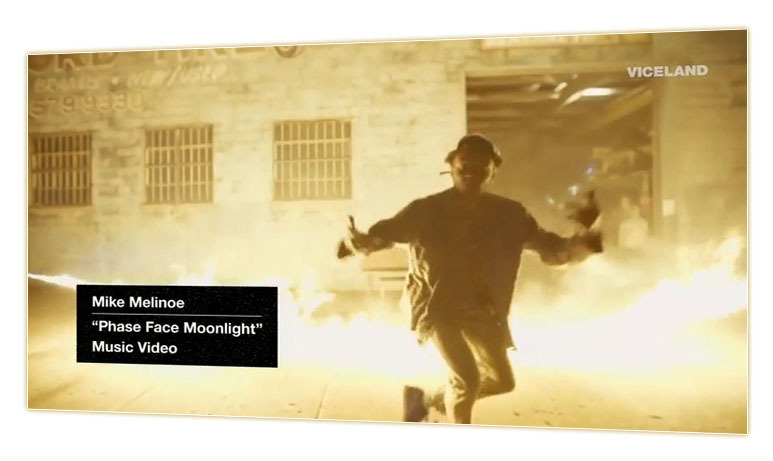 We provided the flames behind a Detroit-based rapper’s music video. VICE had contacted us about the opportunity to be in a Detroit-themed episode they were airing, and we obliged. Very cool experience. 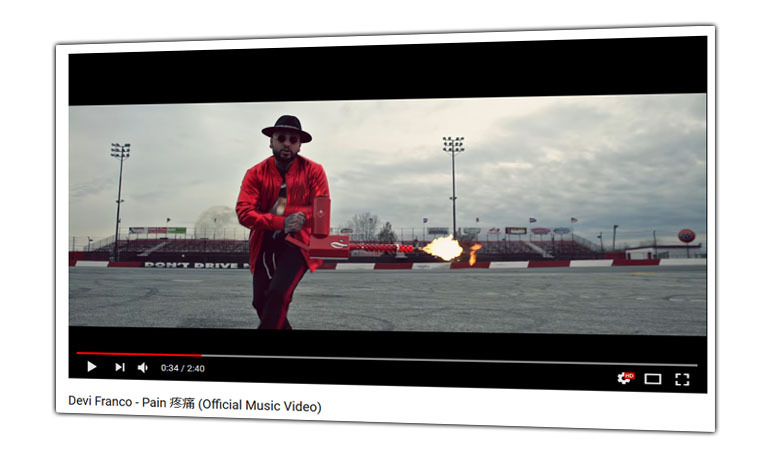 A red XM42 is prominently featured in this official music video from Devi Franco, a rapper from Indianapolis, IN. 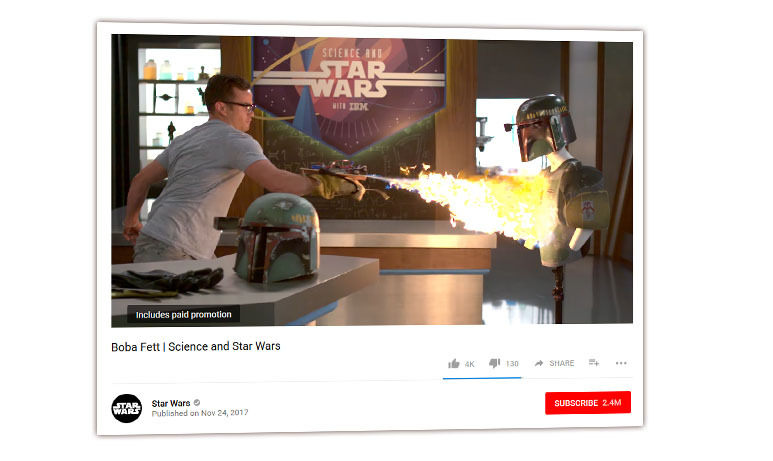 The Boba Fett webisode of Science and Star Wars featured clips of the XM42 Flamethrower during comparisons of sci-fi technologies and their real-world counterparts.